Verso: This picture reprinted from the original of "Winnie The Pooh" Mascot of 10th Battalion 1914. 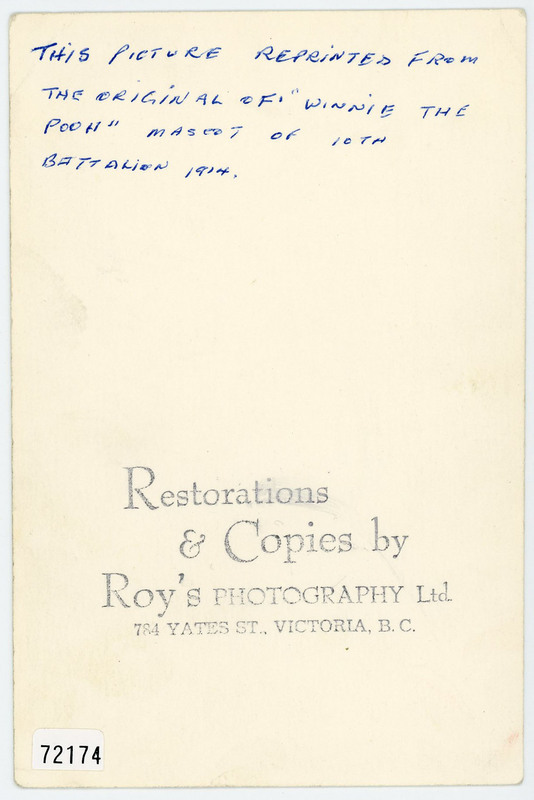 Stamped: Restorations & Copies by Roy's Photography Ltd. 784 Yates St., Victoria, B.C. 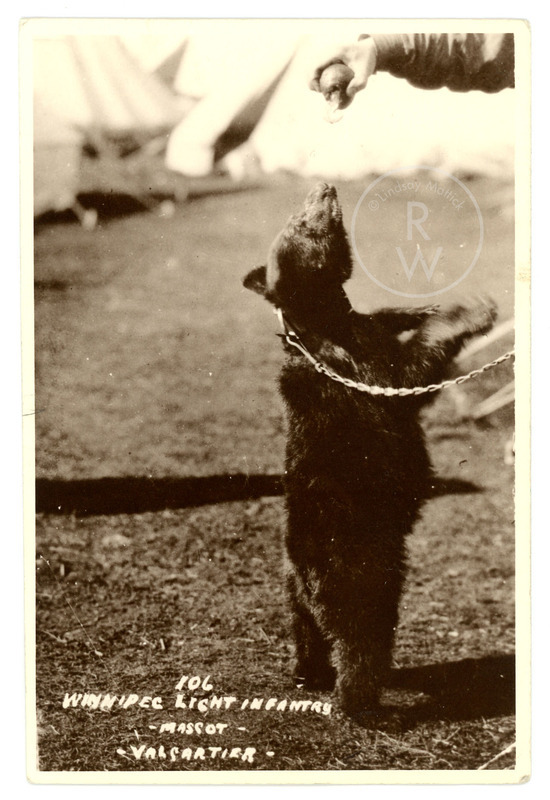 “Winnie, standing up for food ,” Remembering the Real Winnie: The World's Most Famous Bear Turns 100, accessed April 25, 2019, http://therealwinnie.ryerson.ca/collection/items/show/41.